Cancer industry is making revenue of more than one hundred billion dollars a year but it is still unclear why the actual cure is nonexistent. Many people are trying to find the cure for cancer, yet until this date it is unknown. Yet the name of Dr. Raymond Rife is quite familiar within the industry. Dr. Raymond Rife was born in 1888 and he contributed a lot to technology in the area of optics, electronics, radiochemistry, biochemistry, ballistics and aviation. In 1922 he started the research in cancer. 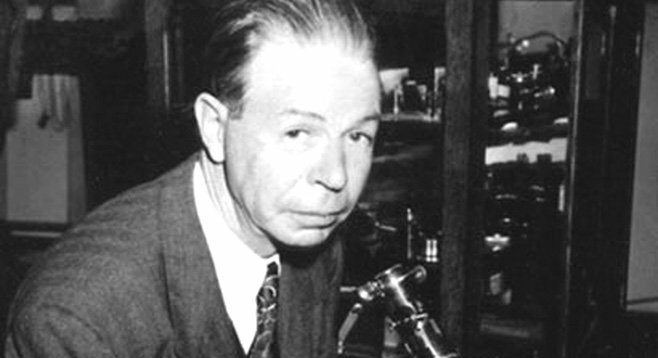 In 1932 he managed to isolate a cancer microorganism known as VX Virus. A year after he designed the Universal Microscope that could magnify an object 60,000x their normal size. He used light frequency resonance to destroy organisms using a natural frequency without destroying adjacent tissue. He named this process Mortal Oscillatory Rate. Within two months in 1934 he was able to cure 14 out of 16 terminally ill cancer patients, while the other two were cured after subsequent six weeks. Despite his 100% cure rate, he was deprived of any acknowledgment for his accomplishment. In 1934 Dr. Milbank Johnson who was to declare the results of Rife’s cancer therapy was lethally poisoned and his documents vanished. Rife’s laboratories were set on fire and ruined. Dr.Nemes who had replicated a part of Rife’s work died in a inexplicable fire along with the destruction of all his research papers. Royal Rife was murdered by fatal combination of Valium and alcohol in 1971 at the Grossmont Hospital. In 1980s author Barry Lynes published a book The cancer cure that worked thus renewing the interest in the work of Rife. The author claimed that Rife’s beam ray device could cure cancer, but American Medical Association withheld it. The American Cancer Society stated that the claims were improbable and a product of a typical theory of conspiracy. They also stated that idea behind the marketing of Rife machines was that conspiracy against the cure for cancer was sabotaging it. What remains unanswered is the reason why Rife machines were mocked and withheld by the medical industry.